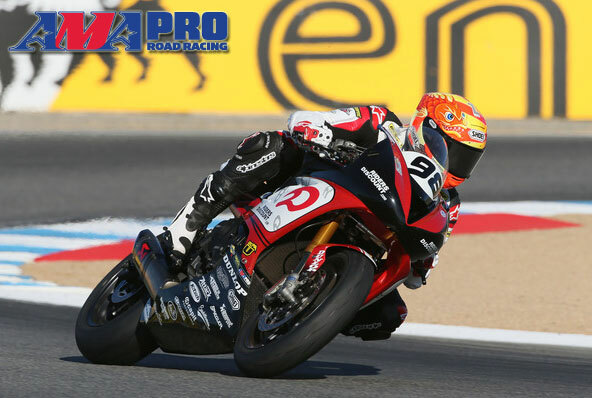 Home » News & Articles » Success Stories » AMA Pro Racing Timing Division, Daytona Beach, FL. AMA Pro Racing is the premier professional motorcycle racing organization in North America, operating a full schedule of events and championships for a variety of motorcycle disciplines. The timing division has its own challenges on the racing circuit. In order to maintain the credibility of the race results, this team must ensure the availability of all its equipment at each race. Three 40ft race haulers are packed to the roof with all the electrical components needed to perform track timing for each individual racer for nine scheduled races. The timing team has to arrive at the track well in advance of each race, set up all their equipment, perform the task, tear down, pack-up, and take off to the next event. However, the challenge is more than meeting the schedule. The team also has to account for the hundreds of thousands of dollars’ worth of equipment. Each piece must be available when and where it is needed. Christopher Norris, BD of Silent Partner Technologies worked with Robert Fitzsimmons, IT/timing scoring for AMA Pro Racing to determine the best solution for inventory tracking of all assets using IntelliVan’s software. A passive RFID system was installed on the electrical equipment (most have metal casings) within the 50 cabinets and drawers in a 40ft hauler. A passive system requires correct placement of equipment and open cabinet doors in order to access the data. If the team did not comply with those requirements, they would not be able to get a 100% reading every time. An active RFID system was then tested. It has the capacity for using only one atenna to read 50 tags with all doors and cabinets shut and still guarantee 100% accuracy. This system also features color coded readings: yellow for a misplaced asset, perhaps in another hauler; red for a missing component; and green for equipment that is in its proper location. The passive RFID system would work if used 100% correctly all of the time, but the probability of human error renders it unreliable. For only a few hundred dollars more, the active RFID system provides accurate, complete and real time information 100% every time. The active RFID solution is the one that the timing division of AMA Pro Racing can use with confidence that they will have all the information they need to do their job.